This unanimous vote took place last October 11th, at the Meeting of the Signatories to the UN Water Convention in Kazakhstan. The Implementation Committee of the Water Convention is composed of nine members and is mandated to assist Member States and candidates to the Convention in matters related to the implementation and compliance with the objectives and principles of sustainable water management, promoting international cooperation. Pedro Cunha Serra, one of the leading Portuguese experts on water resources, participated in the negotiations of the Luso-Spanish Albufeira Convention on the international Iberian rivers, in the preparatory work of the EU Water Framework Directive and coordinated the current Portuguese National Water Plan. He has been President of the Águas de Portugal Group, of the Portuguese Water Institute, and of the Water and Waste Services Regulation Authority. 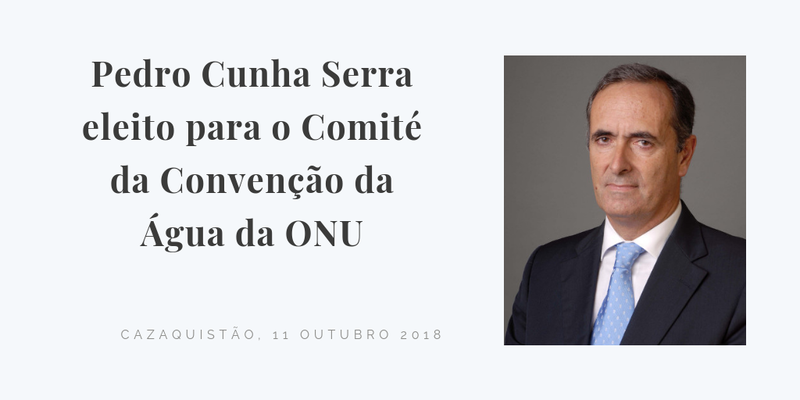 He is currently a consultant to the Ministry of the Environment and coordinator of the Portuguese commission accompanying the Albufeira Convention.